Dennis Clevenger's Blog | Blatherings on art, music, technology, blah, blah, blah. Blatherings on art, music, technology, blah, blah, blah. At this link HERE you can find out all the history on the man, the ship and her many missions throughout her +20 year “life”. You can download a PDF version HERE. Also, here is a previously classified document that is a command history narrative of our activities in 1972 written and submitted to the CNO, Dept. of the Navy by our CO, CDR P.J. Doerr. Download the PDF HERE. 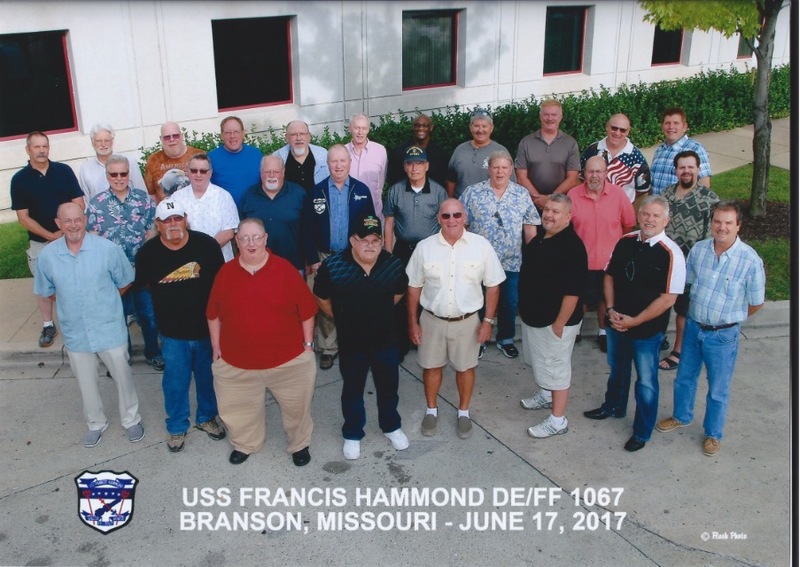 The reunion was held in Branson, MO June 15-18. A good time was had by all. The above video tribute was assembled by Bob Collins. It was shown at the reunion with “period” music, but had to be stripped for YouTube use to avoid copyright infringement, so no audio with this. 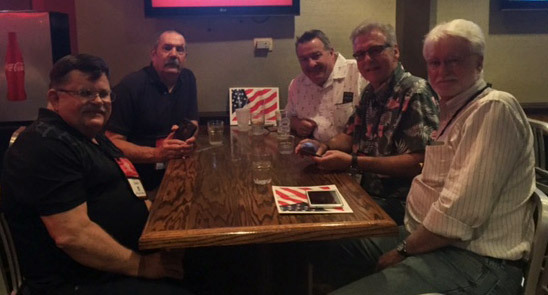 Was great to reconnect with old shipmates after almost 45 years. Below are photos of just the DE crew and one of all the attendees, DE and FF crews. DE crew only. Back row L to R: Jerry Anderson, Jeff Zavada, Scott Gillespie, Dennis Clevenger and Harold Nichols. Front row: Bobby Daniels, James Bunce, Raymond “Marv” Martin, Dave Seiffert and LTjg Kent Grealish. Believe it or not all 10 of us were on board together at some point during 1972-73. All 27 attendees, DE & FF crews. Radar Gang 2017 L to R: Bobby “Stubby” Daniel, Jeff “Zee” Zavada, Marv “The Saint” Martin, Dennis “DC” Clevenger and Scott Gillespie. Click for close up view of locations. Here are some of our locations as documented in the Deck Logs also found on this site. You can look at a date, then look in the appropriate deck log for info as well as find out more details by looking up that date in the Gunline Records. L to R: Larry Brix w/ long glass, William Morgan, Ron Neighbors seated on deck, cross legged on desk not a Sig’s, second from right Bossman Steve Buerman, and Phil (Ben) DiBenedetto. Taken forward of the Mack. The weight station is below a half deck down. The plexiglass board behind us was where we wrote the names of each ship and their call sign that was in our proximity in the gulf with grease pencil for quick reference. 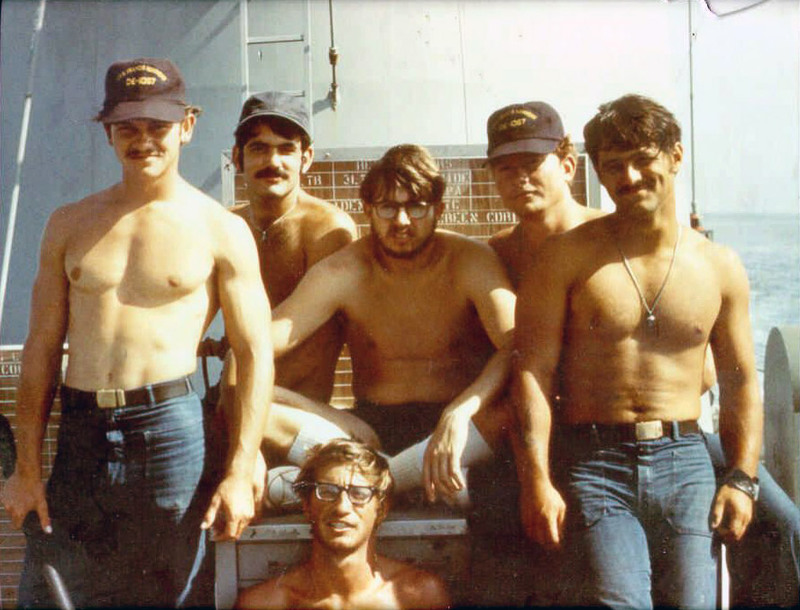 I recently received this photo from William Morgan of the signal gang off the coast of VietNam in 1972. We don’t need no stinking sunscreen! Good times! A shipmate recently forwarded to me copies of some of our deck logs for some dates during 1972. 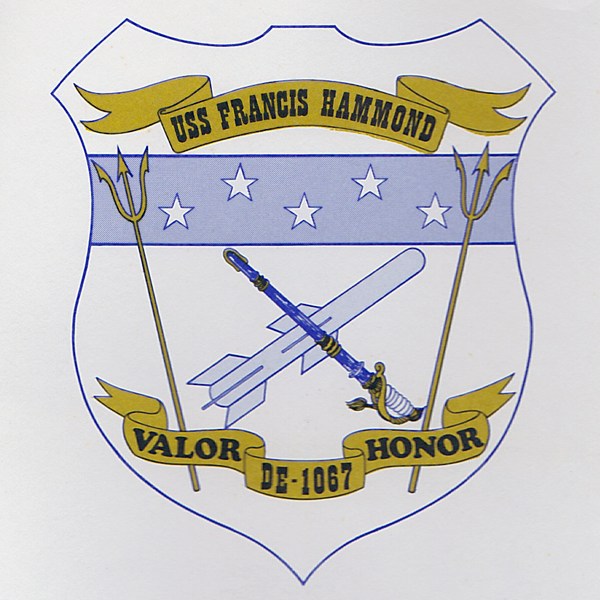 He had acquired these through either the National Archives or the Naval History and Heritage Command. Deck logs are the Navy’s way of documenting ships movements, weather conditions, musters, gunfire, casualties (both material and personnel), readiness status and any other notable occurrences. The entries during a watch are signed by the OOD at the end of his watch on the bridge. Included here are only for a few select dates. A couple of them are title pages only, but are included to give an idea of where (lat/long) we were at a certain time period. The latitude and longitude logged on any page can be plugged into Google Earth to see our location at a certain time. The only editing I did to them is on 2 occasions where casualties/injuries were logged with the crew members social security number, so I obscured those for their security. The handwriting is hard to read on some of these, but will give some insight to just what we were doing during that memorable summer of ’72. NOTE: I recently removed the few entries for April 1972 that I had and replaced it with a transcribed version for all of April that I received from Stubby (CPO Daniels). This version is much easier to read than the original handwritten deck logs. The only omission in this is the name and signature of the OOD at the end of each watch. Reading this sure shows me how the memory fades with time. I cannot believe how many vertreps, unreps, refueling and re-arming we did! That spring and summer of ’72 had us quite busy! In reading this, I was also surprised how many times we shut down for a gun malfunction in Mount 51. 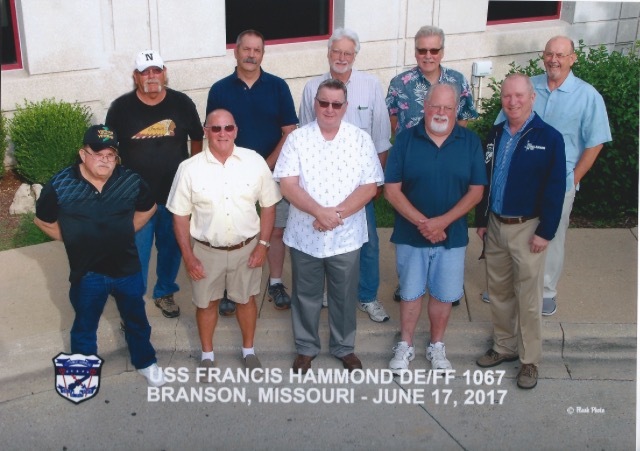 USS Francis Hammond DE/FF 1067 Reunion planned for 2017. Mark your calendars for June 15-18 2017. The reunion is to be held in Branson, MO at the Radisson Hotel. You can find more info HERE or contact Jeff Holt HERE. 6. Once a week, blow compressed air up your chimney, making sure the wind carries the soot onto your neighbor’s house. Ignore his complaints. 7. Raise the thresholds and lower the headers of your front and back doors so that you either trip or bang your head every time you pass through them. 8. Once a month, take all major appliances apart and then reassemble them. 10. On Mondays, Wednesdays and Fridays, turn your water heater temperature up to 200 degrees. On Tuesdays and Thursdays, turn the water heater off. On Saturdays and Sundays tell your family they used too much water during the week, so no bathing will be allowed. 13. Make your family qualify to operate each appliance in your house dishwasher operator, blender technician, etc. 15. Have your mother-in-law write down everything she’s going to do the following day, then have her make you stand in your backyard at 6 am while she reads it to you. 16. Submit a request chit to your father-in-law requesting permission to leave your house before 3 pm. 17. Empty all the garbage bins in your house and sweep the driveway three times a day, whether it needs it or not. 19. Watch no TV except for movies played in the middle of the night. Have your family vote on which movie to watch, then show a different one. 20. When your children are in bed, run into their room with a megaphone shouting that your home is under attack and ordering them to their battle stations. 21. Make your family menu ahead of time without consulting the pantry or refrigerator. 24. Get up every night around midnight and have a peanut butter and jelly sandwich on stale bread. 25. Set your alarm clock to go off at random during the night. At the alarm, jump up and dress as fast as you can, making sure to button your top shirt button and tuck your pants into your socks. Run out into the backyard and uncoil the garden hose. 26. Every week or so, throw your cat or dog in the pool and shout, “Man overboard port side!” Rate your family members on how fast they respond. 27. Put the headphones from your stereo on your head, but don’t plug them in. Hang a paper cup around your neck on a string. Stand in front of the stove, and speak into the paper cup, “Stove manned and ready.” After an hour or so, speak into the cup again, “Stove secured.” Roll up the headphones and paper cup and stow them in a shoebox. 28. Place a podium at the end of your driveway. Have your family stand watches at the podium, rotating at 4 hour intervals. This is best done when the weather is worst. January is a good time. 29. When there is a thunderstorm in your area, get a wobbly rocking chair, sit in it and rock as hard as you can until you become nauseous. Make sure to have a supply of stale crackers in your shirt pocket. 30. For former engineers: bring your lawn mower into the living room, and run it all day long. 31. Make coffee using eighteen scoops of budget priced coffee grounds per pot, and allow the pot to simmer for 5 hours before drinking. 32. Have someone under the age of ten give you a haircut with sheep shears. 33. Sew the back pockets of your jeans on the front. 34. Every couple of weeks, dress up in your best clothes and go to the scummiest part of town. Find the most run down, trashiest bar, and drink beer until you are hammered. Then walk all the way home. 35. Lock yourself and your family in the house for six weeks. Tell them that at the end of the 6th week you are going to take them to Disney World for “liberty.” At the end of the 6th week, inform them the trip to Disney World has been canceled because they need to get ready for inspection, and it will be another week before they can leave the house.